Celebrate Native American Heritage Month with this printable activity that is sure to keep students engaged in class. Students will be asked to unscramble the clue words listed in one of the columns. Next, they will unscramble the letters that appear in circled boxes to reveal the answer to the last phrase. 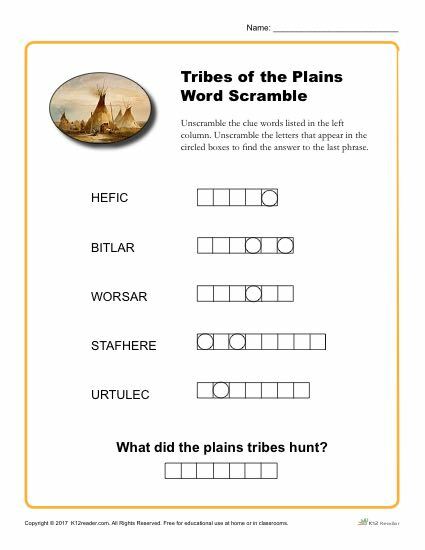 This printable Native American Heritage Word Scramble worksheet is great for use both at home and in class. It is ideal for 3rd – 5th grade, but can be used where appropriate.